Occult Society Promotion is pleased to announce that Goatchrist, a british talented blackened death metal band entered the Italian agency roster. After their last work "The Epic Tragedy of the Cult of Enlil", released some months ago, the band is working on their first full-lenght. 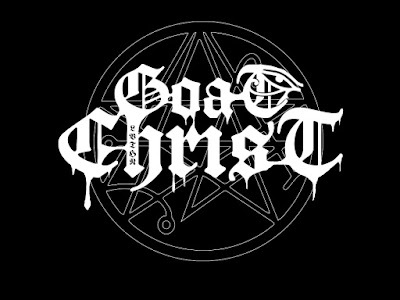 The music of Goatchirst is raw but evocative, reflecting the anti-cosmic luciferian/occults lyrics. "Whilst the mini-concept of 17th century Luciferian rites will still be the centrepiece of our three tracks for the Angmaer split, I do not feel this topic is significant enough to the ideological views of Goatchrist as a band to be featured on our debut album. The album will be a fierce and uncensored series of allegorical stories chronicling the key tenets and ideologies of the Order of the Nine Angles: a philosophy created in Britain and derived from Pagan and Nietzschean views, and the philosophy which created Goatchrist."